So I was watching vids on YouTube, and an idea struck me for a hilarious fan animation. My Little Pony/Whose Line is it Anyway? Episode 12s title revealed Games Ponies Play Sounds like it could be interesting and do some world building for the Crystal Empire and the rest of Equestria. Why does that sound better suited to a horror fan fic to me? Is it just me? 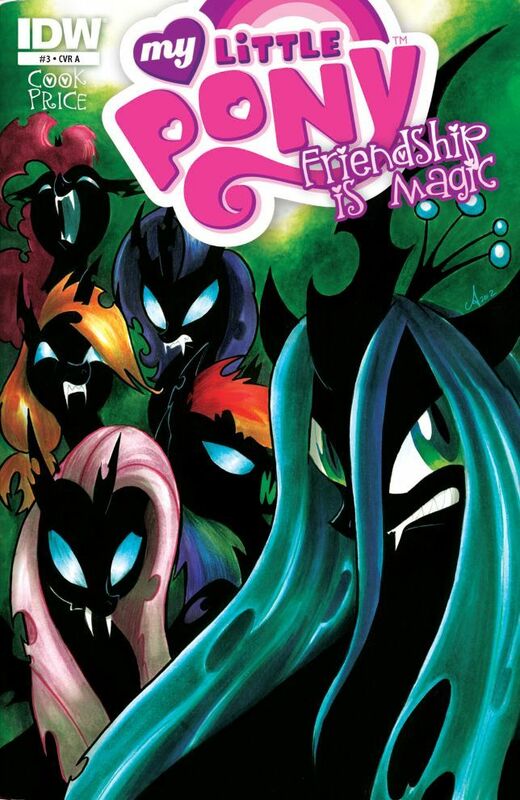 Well a variation of the title was used for a Pony fanfic (The Games We Play) that, while I haven't read it, I believe is a Dark Mystery story. I also think that they both got the title from a novel or a movie or something like that, though I'm not sure. After looking on TV Tropes and Google while I can't find a non fanfic source for the title it is the name of one other non pony fanfic, in this case Magic the Gathering, so yeah its likely from some movie or book or something with a variation of that name. The book is "The Games People Play"
Thank you Brent I knew I'd heard of it before, I also some how knew it was from the 60s as well. I bet it was an episode of Law and Order or Criminal Minds or CSI, one of the 3 had to reference it at some point or another. I doubt this will mean much to anyone here who's not also a big fan of Star Wars, but it occurred to me while I was browsing TVTropes that Sombra is kinda comparable to the original portrayal of General Grievous, before Lucas 's Villain Decay set in. They both say little keep straight to the point, are always deadly serious, and invoked a feeling of dread and awe in the characters around them. On a more embarrassing note, it took me this long to notice Sombra's mane and tale, though significantly shorter, flow and wave like Celestia and Luna's do. Edit: meh, I'm probably stretching it. Meanwhile... At the Hall of Doom! In the kingdom of hooves, the man with opposable thumbs is king! Also, I got issue two of the comic, and the shop almost lost it! Again! I don't want to give too much away, but the search for the CMC continues and the Main Six are separated! I love all the little in jokes and references in every issue! There is a map with interesting names like "Froud Valley" after the famous fantasy artist and one called "Gelding Grotto" that sounds just terrifying! And this alternate cover for issue three looks awesome! and one called "Gelding Grotto" that sounds just terrifying! I was a little weirded out by that part. I loved all the David Bowie references though! That comic is pretty good. I plan to keep reading. Rainbow Dash Presents is the best way to experience fan fiction. The new one is awesome, and (I think) the farthest from the actual fic they've gotten. Rainbow Dash Presents is amazing. The new episode did not disappoint, though it still can't touch Rainbow Factory (aka Captain Hook the Biker Gorilla) or Haunting Nightmare for me. Mostly because I didn't think the song was nearly as good as in those episodes. The lyrics were still pretty good, but the performance itself seemed a little weak. Mhm. Though apparently the girl who played him and Greg are now in a relationship for realzies? I've got no idea what they had Discord say that's apparently gonna be breaking the internet, but I'm ridiculously excited nonetheless. Though that may just be the 2 week hiatus getting to me. No ponies and waiting tables makes Kyle an excitable boy. He's going to say "All your base are belong to us", and then there will be a pause and a laugh track will play. 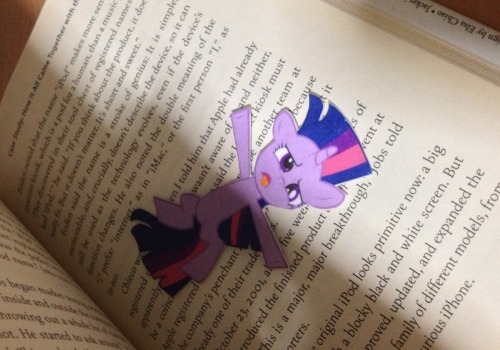 A artist on Tumblr has made a squished Twilight book mark. Here is the picture. and here is a gif showing it in comedic use. That is the most amazing bookmark ever. I want one. Here is the artist's Tumblr. He has a DA account too. Maybe you could buy one from him. Here is a picture from the creator of "Ozy and Millie" and "Heavenly Nostrils". Although I thought they should be singing "Walking On Sunshine", personally. that is cute and I also want that Twilight Bookmark. I think it's that she can't be sure she fully cleaned her mane, so Spike's helping out. Must have episode now! I need it! Well we have the title season 3 finale Event thingy (not the episode title, I think?) Season 3 Finale Commercial Princess Coronation which is (if you don't know) a "ceremony marking the formal investiture of a monarch and/or their consort with regal power, usually involving the placement of a crown upon their head and the presentation of other items of regalia." Basically Alicorn Twilight is confirmed at this point at least in some form whether or not its permanent is still up in the air. I still don't understand the dislike toward alicorn Twilight. I don't mind Alicorn Twilight that much. Itmight even be very neat. It would be interesting a plot about about how Celestia passed her power and duties to Twilight before she (celestia) dies and Twilight becomes an alicorn and, a thousand years into the future, Twilight has a faithful student on her own and she, Spike (and probably Luna and Candence) start to thinkthey may be the next elements of harmony. But many people hate the idea because it changes the status quo (mostly because Twilight would outlive her friends). Plus, I'm more intesrested in MLP fanfiction than in the actual episodes. The last Spike episode gave me a very sour taste in my mouth and the plot for his next episode sounds even worse (it looks like it'll have a lot of slapstick comedy and, frankly I hate this kind of comedy, but I know it has many fans aournd the world. It's just not my thing). At least in fanfiction people make interesting stories about my favorite character. That's one of the reason why I don't quit the fandom. The episode, after rewaching them don't have the same impact anymore. I don't mind it as long as its well written which giving the shows track record, it will be. People are freaking out because it will be a change in the status quo and they hate that. As much as fans complain that they do lessons over and over they would be equal mad if they actually changed stuff as well. Actually, I dislike the idea of alicorn Twilight because it doesn't break the status quo. It's about as cliche a story device as you can get. Main character becomes an immortal demi-god because reasons. I just don't see what this could possibly add to the show. Especially because this isn't the end of the series (supposedly). Where would they even go after this? "This is a repeat prediction from one I made way back at the season 2 finale - Twilight is now technically a princess (thanks to being the sister-in-law of one). She must make the ultimate decision - a choice between following her mentor Princess Celestia as royalty and being trained in the highest forms of magic etc, - or throwing it all away to maintain a normal life with her friends. Also a repeat prediction - she chooses her friends and loses the wings." You are confusing Status quo (things being the same at the end of an episode as they were at the start;which by definition Twilight becoming an Alicorn can not be as she isn't one now) with a cliche (something over done and boring; which you can easily argue it would be) This could add to the show by having more epic adventures in season 4 happen because of it. Anyway if they do Alicorn Twilight I still say its much more likely to be a Super Saiyan style power up rather then something permanent; even if it is I can easily see it working with the writing staff we have. Also that prediction wouldn't be bad either I could see that as a possibility as well. I don't mind Alicorn Twilight if one theory is to be believed, that being that Alicorn's don't naturally live forever, but can use the age regression spell because of their powerful magic. I believe it cause of the fact that the "Alicorn Amulet" increased magic power and made age regression spells possible. That would mean Alicorn Twilight wouldn't live longer than her friends as long as she found another powerful unicorn in that time. Or maybe she could extend the lifespan of her friends too. Remember, the next Spike episode is written by the same writer who wrote Sleepless in Ponyville, which you liked (or at least didn't hate) if I recall correctly. You should learn to not judge an episode by it's synopsis, cause even the worst idea for an episode can be salvaged by good enough writing, just like the best episode idea in the world can be ruined by bad writing. I vote that it will be a temporary transformation. 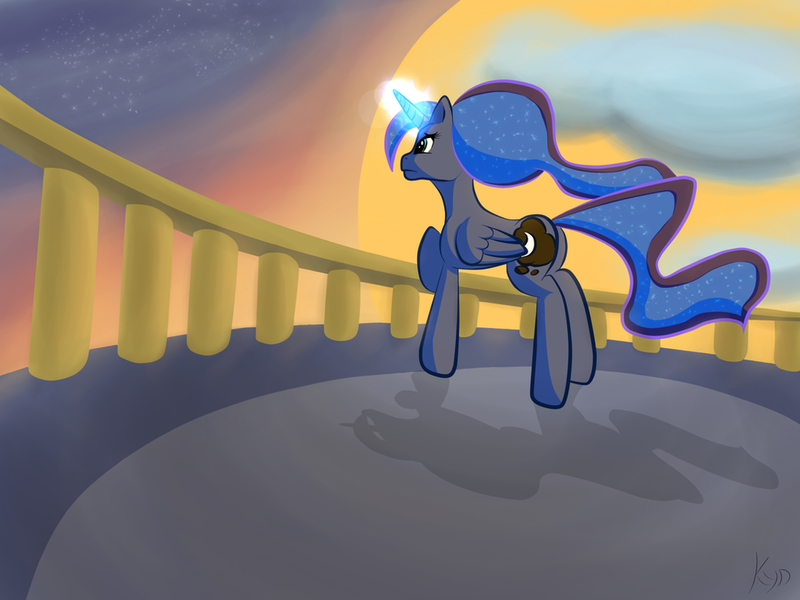 Maybe the result of Celestia lending some of her power to Twilight or something like that. It could be like the elements, something to call upon in an emergency. Or, twist ending: Celestia is Twilight's real mother! yes, sleepless ponnyville was one of the few good episode of the third season so far, for me (the others are cristal empire and wonderbolt academy), the rest was average (with one or another good scene, but not a good episode overall) or bad. Let's hope so. I know it's silly to talk like the show is ruined for me because of a few bad episodes. But I'm really tired of seeing my favorite character get the short end of the stick every time. I severely doubt Alicorn Twilight is ever going to happen, for reasons that are founded but since I don't have the sources, you guys would have to take my word, so I'm not even going to say why.